Seems like the pics have disappeared. 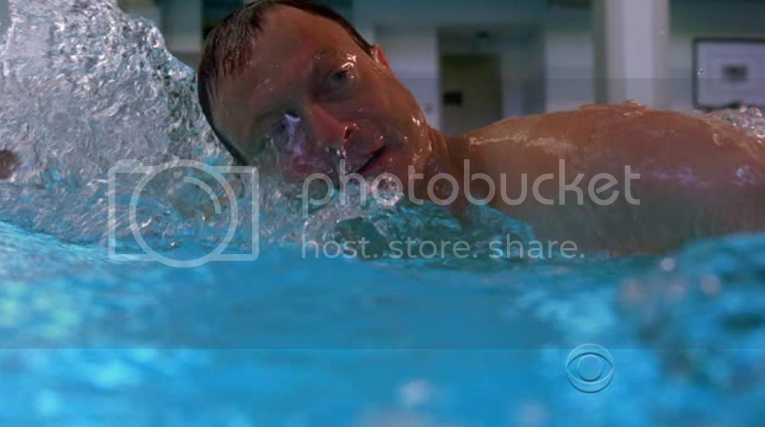 But yeah, that episode 'I am Mac Taylor' has him swimming. Well, it's still on Photobucket. This is Mac, CSI NY, not Gary! I know, still yummy though. It's Gary, but in character as Mac, yeah. This is more of a rant but it's about Gary. Why can't you come to San Diego for a public concert? You have been down here several times this year and spent a week in late July even. You will be an hour away in Temecula and my mom's friend hasn't told me if we are going or not. I'm thinking we aren't going but don't want to make her feel bad by sending her an e-mail or if she says something to my mom later. Went to Gary's band website and they are cutting back on concerts for 2014. I wonder if that is public events being limited or both public and private. Willing to bet public events are only being limited but will still do the same number of private events. Be really surprised if they post about why the band will have limited scheduling on Twitter or FB. Well, I guess that's the way it goes. Gary is waving the green flag at today's Daytona 500,starts at 1PM Eastern. I saw it even though it was more towards 1:30 than 1pm. I thought he did awesome. Anyone see Gary on World News Tonight? Loved it. No, I didn't realize he would be on WNT. I did record The Countdown to the oscars and Good Morning America. Didn't realize he'd be on 20/20 last Friday and thought it would be last night. I found a video about it on YouTube. I did record The Countdown to the oscars.